Phoenix Labs has announced that its free-to-play co-op action-RPG, Dauntless, will release in April 2019 on the PlayStation 4, Xbox One, Nintendo Switch, PC (Epic Games Store), and mobile devices. The game will feature cross-platform play and cross-platform progression. In Dauntless, players team up with friends to take on giant creatures called the Behemoths, who pose a threat to humans in the Shattered Isles. A catastrophic event led to land breaking into different islands, which now remain afloat due to a mysterious energy called Aether. As “Slayers,” players will need to devise strategies to take down the Behemoths and ensure humanity’s survival. 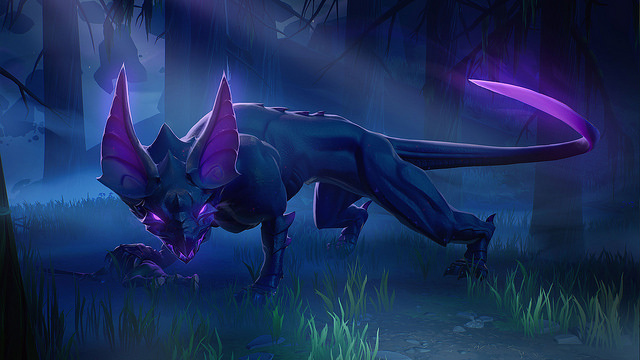 One Dauntless is what the developer calls the game’s universal ecosystem. Phoenix Labs has said that a One Dauntless account will allow players to retain not only their progression and customization, but also carry over their purchases to their platform(s) of choice. A release date will be announced in due course. We’ll update our readers when we have more information.